The future of a hospital ward forced to close six months ago amid a staffing crisis will be discussed at a public meeting next week. The 14-bed ward at Lambert Memorial Hospital in Thirsk, which specialises in end of life care and rehabilitation, was temporarily closed in September 2015 to address patient safety concerns due to staffing pressures. Since then, South Tees Hospitals NHS Foundation Trust, which runs the hospital, says it has made its “best efforts” to recruit skilled nursing staff onto the ward, but it still falls short of the numbers required to run it safely. 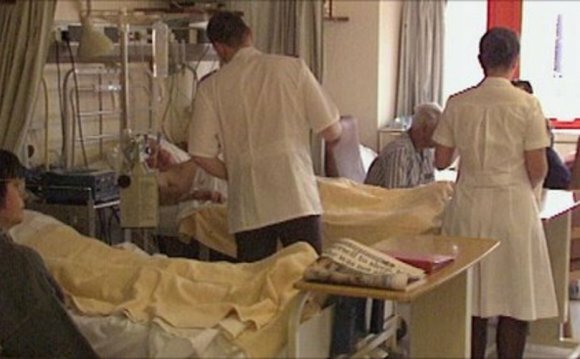 In the months before closure, staff from the Friarage Hospital and other Trust sites were used to boost numbers, but this put pressure on their own nursing teams, the Trust said. Existing staff at the Lambert were already working extra hours, and following closure, extra provisions were put in place at the Friarage, and a local care home. Earlier this month, a new palliative care scheme was put in place at Sowerby House Care Home, supported by Thirsk GPs and community nurses.